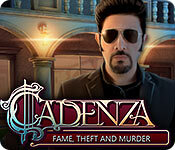 Cadenza: Fame, Theft and Murder is rated 4.4 out of 5 by 14. Rated 5 out of 5 by denniann2 from a good HO game another great game in the series. you are in las vegas in '50's and are on top of the rock n roll world. a stranger comes in and takes your body and then you are in a strangers body trying to get yours back. you chase him around and you get blocked every time. a woman comes on board to help you at the beginning and she shows up when you need help the most. i played on the custom level and there is a good hint system. Rated 5 out of 5 by katnap123 from I really enjoyed this game One thing Madhead usually does well is great characters. The storyline was interesting, with great characters and voice acting. The music fit the early rock and roll era, and the puzzles were varied. Madhead games have a unique style about them, and I really enjoyed playing this one. Rated 5 out of 5 by ninja226 from This game really ROCKS!!!! It's not often that I can say, "Love this game", but this game is exceptional in all regards. The artwork is fantastic. Everything is in high def, sharp, clear. Colors are bright, but not too blue or too pink or too purple. Even the video cut scenes are fantastic and high def throughout. Special effects are fantastic and appropriate for the mood and gels with the overall storyline. For once, the story is easy to follow and not completely implausible. The characters are attractive, but look like real people. The voiceover actors are good and match the characters they play. 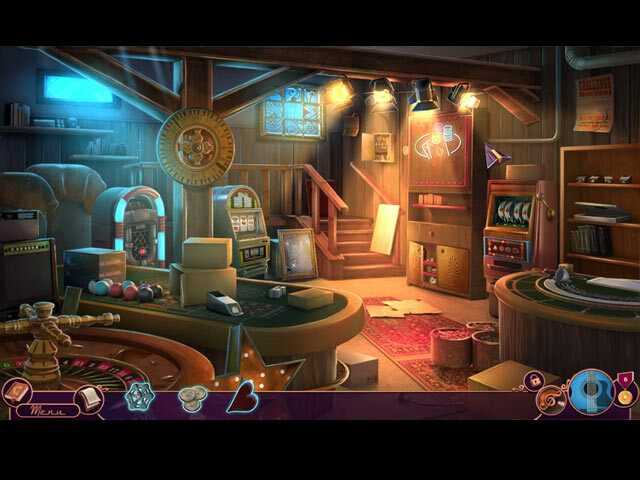 The puzzles are mostly easy, but that's OK with me, as it makes for a fun gaming experience. The HOPs are varied and tiered on multiple levels, combining interactions with finding objects based on silhouettes or objects highlighted in red as part of the story narrative. In other words, it's a list of objects, but up two notches of creativity. I played on expert mode, which disables tutorials, hint, and skip, but helpful messages remain, and are plenty of guidance to progress without any help. 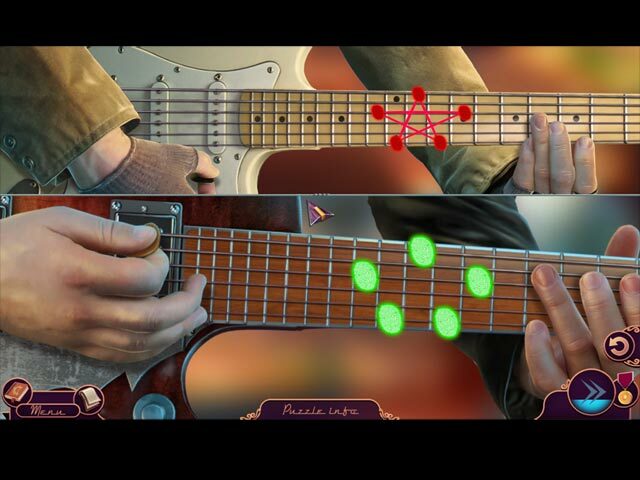 I think this is how expert mode should be. You need some helpful messages or it is just too much of a pain to navigate. This game was so much fun to play. I have played other games in the Cadenza series, but this game is outstanding and exceptional. The other games in the series pale in comparison. Mucho kudos to the devs for this game. Rated 5 out of 5 by Bugirl from Very interesting Interesting storyline, I really enjoyed this, finishing in just 2 sessions. Rated 5 out of 5 by docj1990 from Enjoyable game! I am a fan of the "Cadenza" series, but of all of the games, I liked this one the best. The puzzles are fun and not too challenging, the plot had an interesting premise and twist, and in addition, the plot was suspenseful enough that I wanted to find out what was going to happen next. I hope the next Cadenza game gets published soon. Rated 5 out of 5 by SilverSerena from Solid Game! I am quickly becoming a fan of Mad Head. They are producing great quality games as of late! This game was just plain solid - good graphics, good story line and fun! Keep it up! Rated 5 out of 5 by spythere from It's Gotta be Rock 'n' Roll Music! A Rock'n'Roll game from the Fifties is about as cool as it can get at Big Fish: drive-in diners, the first Sputnik satellite, skyrocketing television, tailfin cars, flashing amusement parks, ice cream parlours and naturally Rock concerts, screaming girls with pony-tails, beatniks with Buddy Holly-glasses … we get it all. Although, I was a tiny bit disappointed with the music. It's by no means bad, but not as stellar as it could ... no, should be. Hey, it's Rock'n'Roll, baby! Any sound producer surely would leap at this unique occasion, I thought, would be eager and anxious to rock our computers with this sound. Remember Bill Haley, Little Richard, Chubby Checker? … not to forget the kings Chuck Berry and Elvis! But somehow these tracks lack the whole enthusiasm. They have the typical dirty, slack guitar, Rock percussion with hi-hats, there are some electric blues tunes with traces of Gershwin ... but all a bit bland and tame, without zest or much variation, neat, but not great. At times they even became so monotonous that I turned them off. If only the music would be as inspired as the HOPs ... Because these are brilliant, made with care and amusing to play. A colourful cartoon landscape of fast food, musical instruments to put back in their casings, a root chandelier with intricate Mayan engravings, broken pueblo pottery to fix, a drink to prepare in a messy bar or a complicated machinery to start. Varied, challenging and all perfectly integrated into the story. Don't forget to watch out for the morphs in every HOP; they are inexplicably not shown in the Strategy Guide. I was a bit undecided and waited for the Standard Edition – but then bought nevertheless the CE. A good choice, the bonus chapter is worth it. As for the unlikely story with body exchange and such: I don't see much difference to the first Cadenza where a magical tune hypnotized the whole audience. I mean, it's fantasy, and none of it really applies to the logical world. To me, this is the best of the series, right along with “Music, Betrayal and Death”. The story of the Standard Edition ends conclusive. However the Collector's Edition has so many nice extras, and the bonus chapter is surpisingly interesting to play, I'd recommend in this case the CE. Read my respective review if you want to know more. Rated 5 out of 5 by CyndiLouWho2 from Thought THIS one better than the others I'm glad I ignored all the negativity about this game. After all, this is a GAME, so I don't understand all the nitpicking about tasks being illogical. I think that's what made this game fun. My review is based on the completed game, not just a five or ten minute demo play. I liked the music for the most part and the voice acting was also top notch. The story line was one we've seen before I'm sure, but I thoroughly enjoyed the way this game was written and acted out. I never got bored even once. 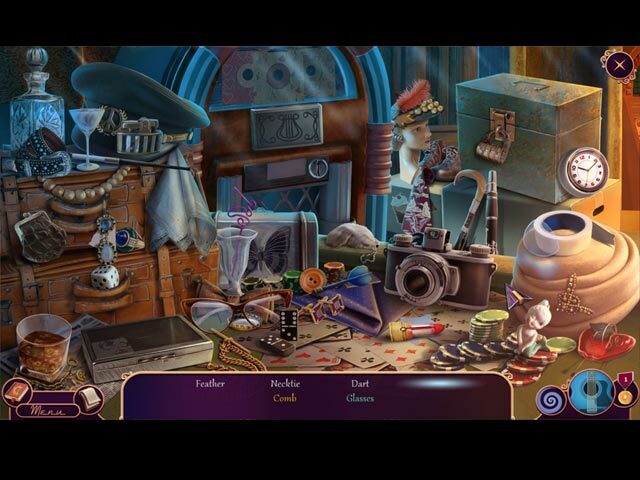 Unlike others who found the puzzles difficult and the hidden object scenes hard, I thought both were fairly easy. My thing was, I skipped thru half the puzzles only because I wanted to continue on with the story. There was a locking inventory section, the hint button re-charged quickly and I liked that when you arrived at a new location, you got a new map just for that location. To me, that was a great feature -- you didn't have to worry about traveling back and forth all over creation. Yes, using yarn to string a bow was silly, but games should be entertaining and I found Fame, Theft and Murder to be just that! Rated 5 out of 5 by gamegamegame from Clever game Just good ole fun. Good graphics, clever mini games, just fun without being dark & mysterious. Great series from Mad Head. Rated 5 out of 5 by lindaloo27 from Great game! I thought this game was great. The HOPs were creative and different and I really liked the storyline. It was a lot of fun and I thought the graphics were great.